Tens of thousands of industry professionals have sourced RISMedia for analysis of the ranking and research results of RISMedia's 31st Annual Power Broker Report Top 500 since its release last month, and now, the company has released an expanded ranking—the Top 1,000 brokerage firms—through a new, interactive online directory. Filled with interactive research charts, year-over-year data for two years and detailed Power Broker Profiles, the innovative, dynamic directory also allows visitors to search the Top 1,000 Power Brokers by sales volume, company name, brand and transaction rank. Each Power Broker Profile includes their 2018 sales volume and transactions, as well as comparisons to past years; their ranked status; their agent count and number of offices; and other important information. Collectively, the Top 1,000 Power Brokers earned $1,424,776,652,825 in sales volume and garnered 3,881,412 transactions in 2018. 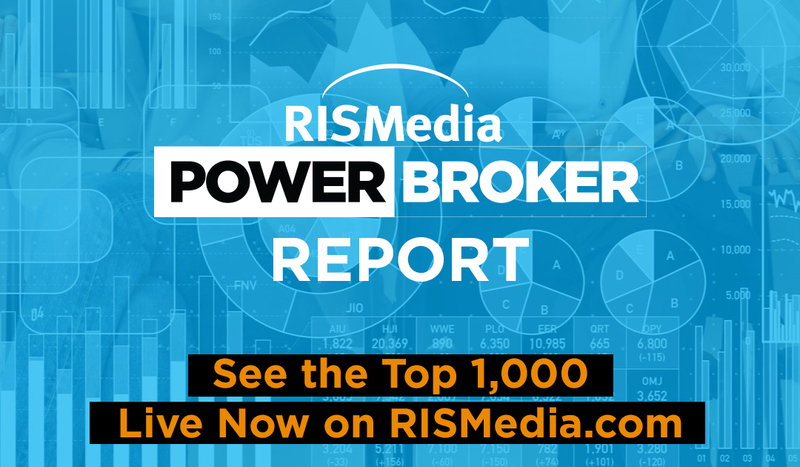 In addition to the directory online, the 2019 Power Broker Report is available in the April 2019 edition of RISMedia's Real Estate magazine, showcasing the Top 500 Power Brokers by volume, and containing exclusive insights from more than 50 Power Brokers. Their commentary covers disruption, economic headwinds and the housing market, and operational strategies for success. RISMedia's 31st Annual Power Broker Report & Survey is sponsored by American Home Shield, Homes.com, HSA Home Warranty, Leading Real Estate Companies of the World® and Pillar To Post Home Inspectors.